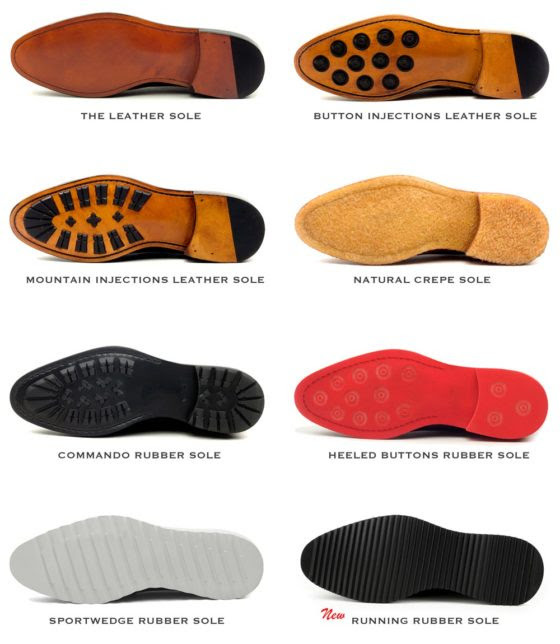 Did you know how many different sole units are available for MTO men dress shoes? The answer is 8 different types of soles to choose from. They are available for all Men Dress shoes with our designing platform. From the formal and classic Plain Leather Sole, to the new casual Running Rubber Sole, each one has its own personality. Check the differences below. Some soles are available in multiple colors. And additionally, you can customize the color of other pieces of the sole, like the outsole (edge of the sole) or the welt. There are, literally, hundreds of sole / colors combinations for you to choose from. We gave up on trying to figure out how many different shoe design combinations could be created using our brilliant 3D customization interface. After the latest materials & features updates on the platform, that number is skyrocketing..! 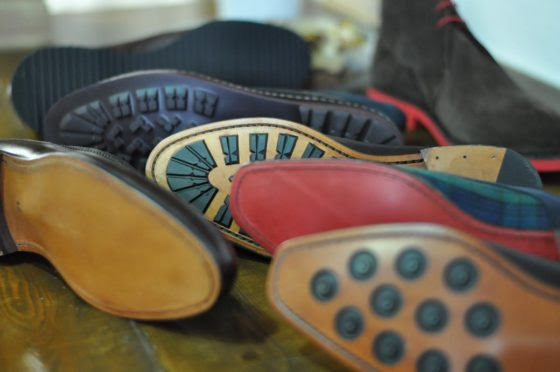 On shoes constructed with Blake welting, the upper component of the shoe is stretched around the insole, and then a single stitch binds the outsole, insole, and upper together. Because the welt is stitched within the interior of the shoe, Blake welting requires a specialized machine to stitch the sole to the upper. Welt stitching is a hallmark of exceptional shoe construction. Shoes of inferior quality tend to use adhesives rather than welt stitching – making the shoe nearly impossible to re-sole and more susceptible to water intrusion. At Le Ruux, by virtue of our shoes’ Blake construction, we’re able to provide our customers a comfortable, sturdy, and elegant shoe. How can I choose between available soles? To alternate between soles, look for the Sole Selection Widget, located on the top left of our 3D Designing Tool.